The benefits of a lawyer are obvious. But why use a currency broker? FrenchEntrée.com puts the questions to foreign exchange specialist moneycorp on your behalf. Why should I bother with a currency broker? Currency markets are constantly fluctuating and making your transaction at the right time can make a big difference to the amount of money you end up with. 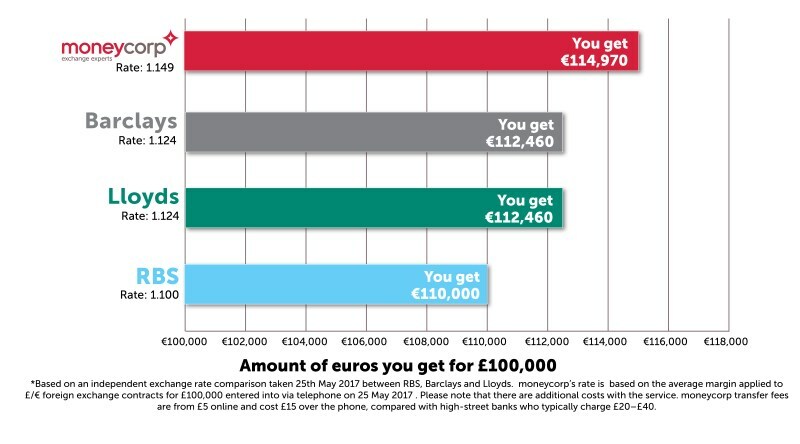 For example, the spot rate comparison below from May 2017 shows the huge saving available when using moneycorp for your international money transfers. Bank transfer fees typically range from £20 to £40 – with French Entrée & moneycorp you will have to pay no transfer fees on your currency transactions. Register with moneycorp for free international money transfers and market leading rates. So if I like the rate today but am not paying for my farmhouse for another six weeks, what should I do? In this scenario, the rate can be fixed by using a forward contract. A forward contract is just one of the products a currency broker like moneycorp can offer – allowing you to buy or sell your currency in the future, at a rate you fix today. Forward contracts can help protect against adverse currency movements and can be used to lock into favourable exchange rates. I know nothing about currencies. Who can explain it all to me? High street banks are really not geared up to provide this kind of assistance, as it is not their specialist area. 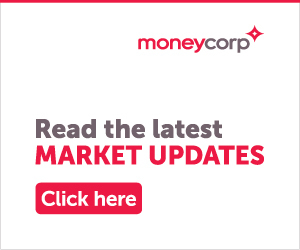 On the other hand, moneycorp staff are experts in the currency and spend their time monitoring the markets, enabling them to provide you with as much or as little information as you require. Will I get the exchange rate on the board at my bank or can I do better? In almost all circumstances, a currency dealer’s exchange rate will be better than the equivalent rate from a bank, and certainly a great deal better than the tourist rates on the board in your local branch. We achieve this by dealing high volumes of currency in the international money markets and then working on far lower profit margins than the high street banks. What difference could the exchange rate have on my property purchase? As demonstrated in the example above, leaving the exchange rate to chance can be very costly, and failing to fix an exchange rate can sometimes mean that you can no longer afford your property when it comes to completion. Exchange rates can fluctuate by as much as 10% of more in just a matter of days, so it can have a substantially impact on the cost of your property. Can I protect myself against a falling exchange rate? You can, either through buying a forward contract or through the use of market orders. This is equivalent to a safety net placed in the market through a specialist broker. The market order guarantees a minimum exchange rate but allows you to take advantage by buying at a better rate if the market is favourable. This sounds more complicated than it is and is very simple to set up. I’m being asked for stage payments. Is there a way to guarantee the exchange rate for these future payments? Again, forward contracts or market orders are the safest bet to make sure you don’t lose out. What do specialist brokers do that is different from my bank? In a word, understand. There are endless ways to use the exchange rate fluctuations to your advantage but perhaps only a handful of ways that will suit your particular circumstances. All Moneycorp dealers are fully qualified to understand your needs and suggest the most appropriate course of action to save you time and money. And if you don’t agree, you are under no obligation to trade at any time. Is it very complicated to use a specialist broker? The process of using a broker is actually easier than using a bank. We have plain speaking, dedicated experts and never use automated telephone answering systems. We will explain our services in jargon-free terms and unsure you understand how everything works. Our aim is to save you money, not to confuse you with market terminology. Is my money safe if I use a specialist broker? Yes, if you use the right broker. It is important to research the company that you’re thinking of using. Look for key indicators, such as the number of years the company has been in business, and how reputable they are. It is also worth checking whether the company that you are using has been authorised by the Financial Conduct Authority (FCA). Enjoyed this Article? Read the best of FrenchEntrée by registering for our ​French Property, Home and Life newsletter. Call moneycorp on +44 (0)20 3773 6355 for more information or to discuss your currency transfer requirements. Receive free transfers on all your payments.